-both from your presence at the awards and from the inclusion of your role in your CV. Be inluded on the”meet the judges” webpage with your personal profile and company logo and within the awards e-Brochure provided to all attendees. Discuss being involved in our conference for the relevant Awards which will be held post awards. 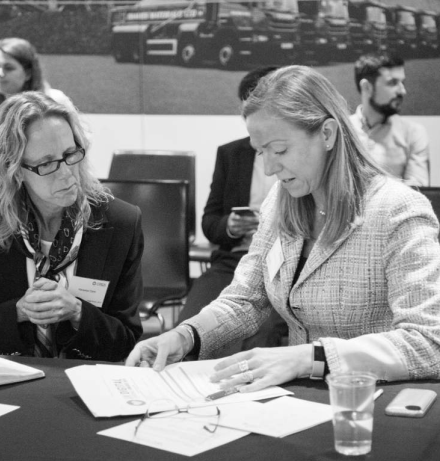 with fellow judges as well as inspiring finalists – the unique open atmosphere of the finals allows you to make connections with many other cross-sector companies. with the our judges and finalists at the Awards Finals. email that has a 30,000 distribution – with average opens of 10,000.
and develop your personal and professional brand – align yourself to a prestigious awards programme endorsed by the Cranfield School of Management. through social media engagement and blogs – becoming a judge is an achievement to be proud of, so shout about your experience on your social media channels. Be in the centre of the event, attend the awards finals. Have your judge profile tweeted to over 8,000 followers plus a post on Linkedin across more than 40,000 connections. within your field – what better way to position yourself as a thought – leader than to share your insight with our finalists? within the Customer Experience Magazine – Awards International welcomes editorial content from judges and will share your profile with its 42,000 readers. Have access the awards judge logo and a promotional card for your use in e.g. your email signatures, on Linkedln and Twitter. Submit contributions to Customer Experience Magazine (which has almost 45,000 subscribers). to influence your own journey – in an ever – changing business landscape, judging provides an opportunity to learn about the latest innovations. future business strategies – your feedback can have a real impact on the development of a brand’s future initiatives. To put our finalists to the test, we rely on an expert panel of judges who will shape the future of digital experience through insightful feedback and rigorous scoring. This year we are looking for astute individuals like you to form our team of independent and impartial judges. Judging at one of our events is a great way to share your knowledge and experience. At the same time, you will have the opportunity to hear customer experience initiatives from all types of industries, enhance your profile, network and celebrate with the finalists and winners! WHAT DO I NEED TO QUALIFY AS A JUDGE? So, if this sounds like you, please send in your CV/profile to judging@awardsinternational.eu in order to apply to be a judge at one of our events.